San Francisco. Tesla Inc accused one of its former engineers of stealing highly confidential autopilot information before bolting to the Tesla of China, Xpeng Motors, eight months after one of Apple Inc’s ex-employees was charged with taking sensitive robocar secrets to a new job with Xpeng. Allegations that a second Silicon Valley giant was betrayed by one of its own workers bound for the same Chinese startup come amid a major U.S. crackdown on Chinese corporate espionage. The rivalry in the electric-car market, with hundreds of billions of dollars at stake, has intensified with the two nations locked in a trade war. Xpeng, which is backed by Alibaba Group Holding Ltd and Foxconn Technology Group, is among startups in China striving to reshape the auto industry as the Asian country promotes new-energy vehicles in an effort to clean up the environment and cut its reliance on oil imports. In a lawsuit filed Wednesday in San Francisco federal court, Tesla accused Guangzhi Cao, a former engineer on its Autopilot team, of uploading more than 300,000 files and directories, as well as copies of source code, to his personal cloud storage account before abruptly quitting the company on Jan. 3. Tesla claims Cao didn’t tell his colleagues at the time that he’d accepted a job at Xpeng. In the complaint, Tesla referred to its autopilot driver-assistance system as having “industry-leading” features and called the technology “a crown jewel” of its intellectual property portfolio. Xpeng isn’t named as a defendant in the complaint. Tesla filed a separate lawsuit Wednesday accusing four former employees of taking trade secrets with them to Zoox Inc, a Silicon Valley-based autonomous car startup. XMotors said it has initiated an internal investigation but wasn’t aware of any wrongdoing by Cao, who it described as a current employee. 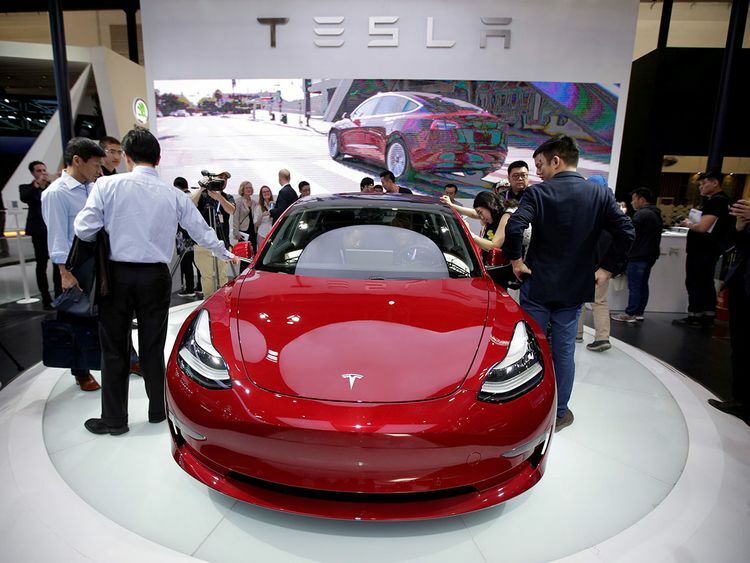 “XMotors has by no means caused or attempted to cause Mr. Cao to misappropriate trade secrets, confidential and proprietary information of Tesla,” the company said in the statement. While Cao is being sued, a former hardware engineer for Apple’s autonomous vehicle development team who went to work for Xpeng is facing criminal charges brought by the U.S. Justice Department. He has pleaded not guilty. Zhang Xiaolang was accused by the U.S. of downloading files containing proprietary information as he prepared to leave the iPhone maker in April. Zhang told Apple he wanted to be closer to his ailing mother in China just before revealing to his supervisor that he intended to work for Xpeng. Apple grew more suspicious after seeing his increased network activity and visits to the office before he resigned, prosecutors said in a criminal complaint. He was arrested after he passed through the security checkpoint at Silicon Valley’s San Jose International Airport to board a flight to China. “There is no indication that he has ever communicated any sensitive information from Apple to XMotors,” an XMotors spokeswoman said in a statement issued just after Zhang was charged. When XMotors was notified in late June that U.S. authorities were investigating Zhang, his computer and office equipment was secured and he was denied access to his work, she said. He was subsequently fired, she said. Another Apple hardware engineer was charged by the U.S. in January with stealing the iPhone maker’s driverless car secrets - also on his way to China. Prosecutors alleged that Jizhong Chen admitted to taking photos inside a secure work space that houses the company’s autonomous car project and backing up some 2,000 files to his personal hard drive, including manuals and schematics for the project. They said although he told Apple he intended to travel to China to visit his ill father, he didn’t reveal that he had applied for a job with a China-based autonomous vehicle company. The company wasn’t identified in court papers. Xpeng said in response to an inquiry Thursday that it had not received any job application from Chen and wasn’t in any employment or business discussions with him. Chen has pleaded not guilty.